An excellent first nylon string classical guitar! 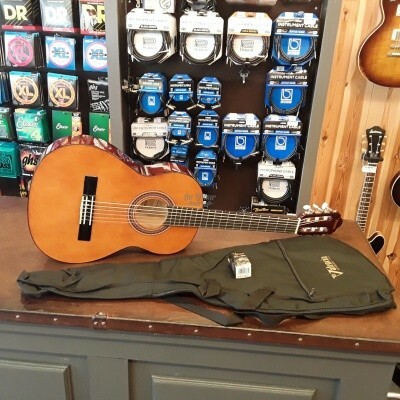 The Valencia Series 100 is a fully featured, nylon string guitar that’s affordable enough for any guitarist. Its neck scale length allows you to play with true classical finger style; just what you need to develop proper playing technique. Whether you’re a very young player or a little older the Series 100 range offers a choice of instrument sizes to ensure a correct fit for all players.